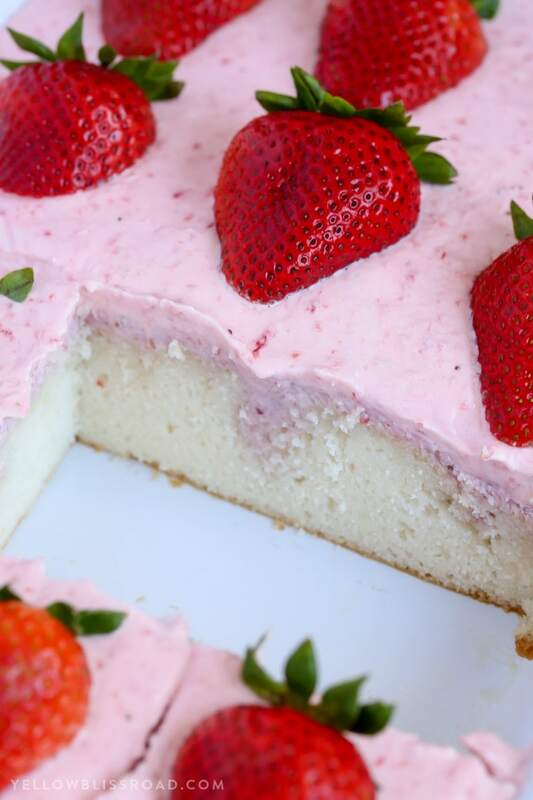 This Strawberries and Cream Poke Cake takes full advantage of Strawberry season with tons of fresh strawberries in the filling and the frosting. 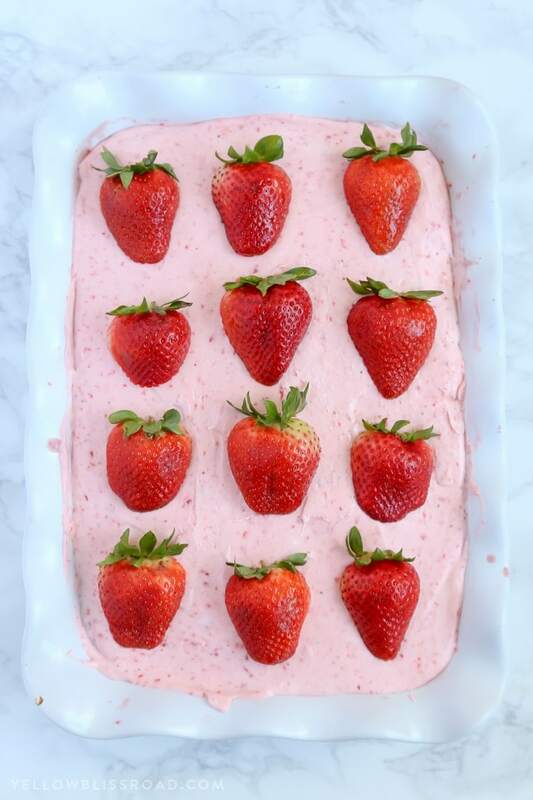 It’s a strawberry lovers dream dessert! 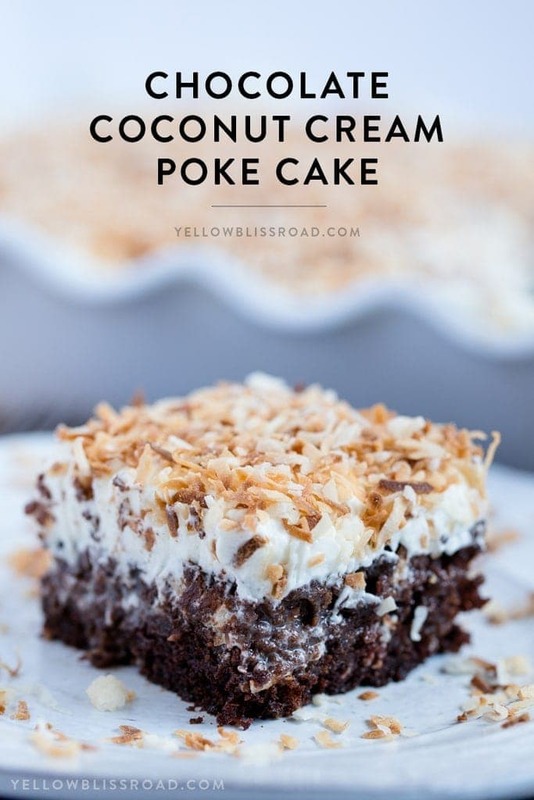 Poke Cakes have become my new obsession. 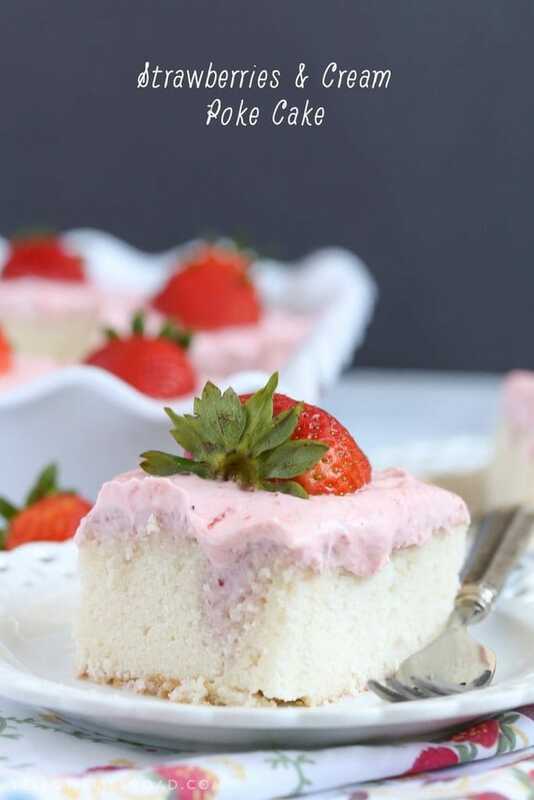 Tender fluffy cake with a creamy, saucy filling soaked in, plus a yummy frosting. I’m in. 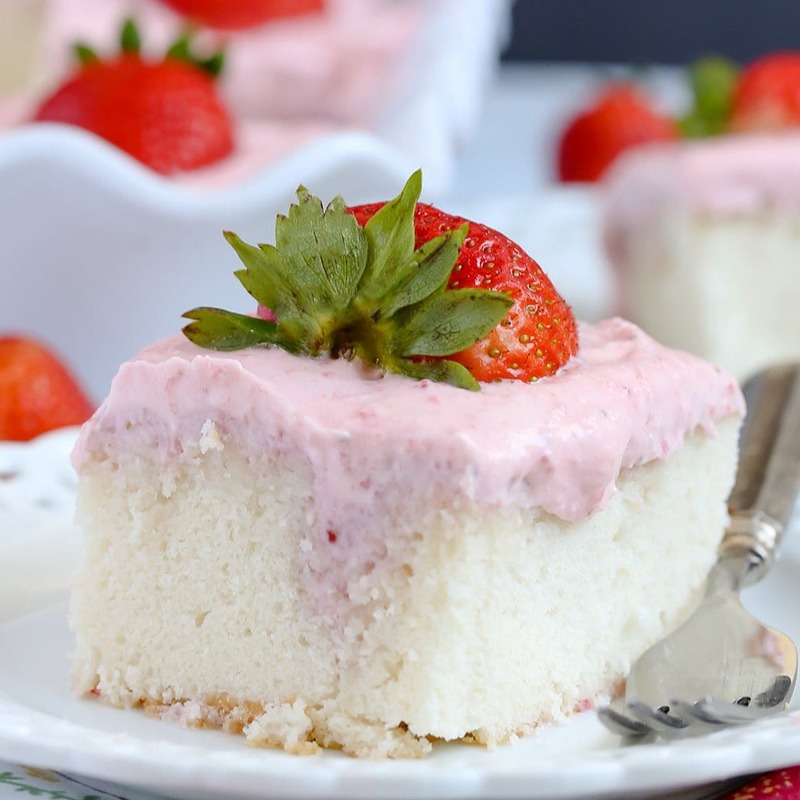 This Strawberries and Cream Poke Cake is no different! 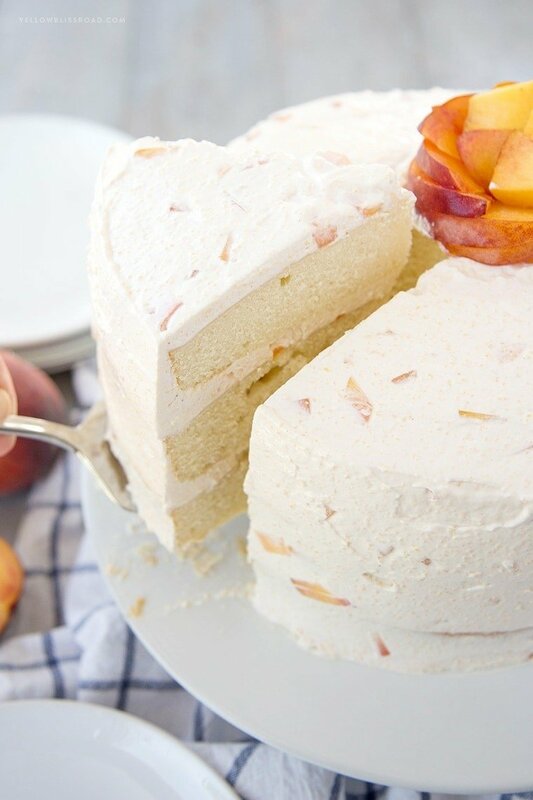 The base is a white cake; your favorite recipe or use a box mix. 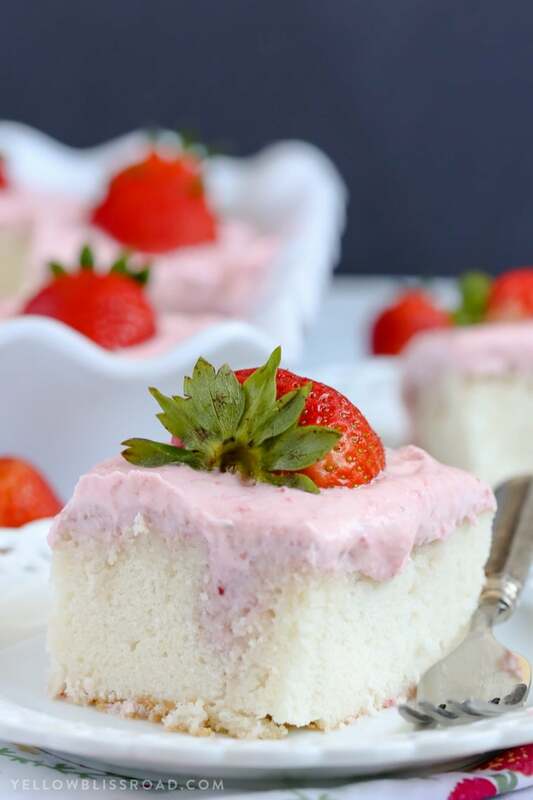 The poke a whole bunch of holes on top and drizzle on a mixture of sweetened condensed milk and fresh, pureed strawberries. 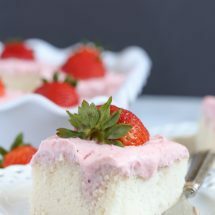 The cream and strawberries fill in every nook and cranny and make that cake super moist and delicious. As if that wasn’t enough, the frosting is just to die for. 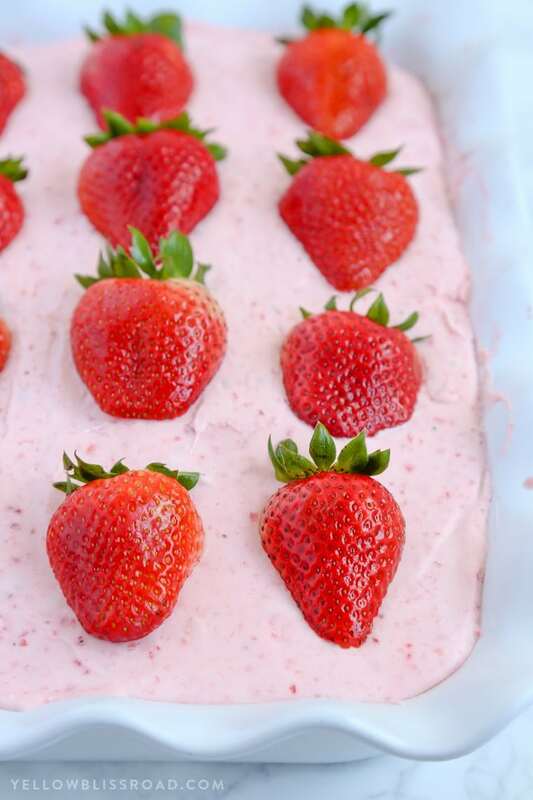 More fresh, pureed strawberries are mixed in to my favorite cream cheese frosting. 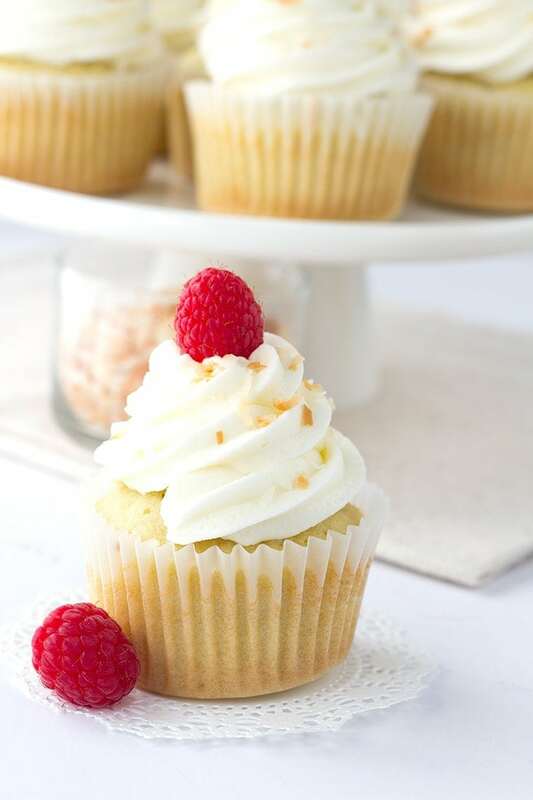 I love this frosting because it’s ultra creamy but not overly sweet, and it’s crazy easy to make. Bake cake according to package directions in a 9”x13” baking dish. Meanwhile, in a medium sized bowl, stir together sweetened condensed milk and strawberry purée. Set aside until cake is finished baking. Remove cake from the oven and poke holes all over the top of the hot cake with the end of a small wooden spoon (don't use a fork for this one - you want the larger holes). 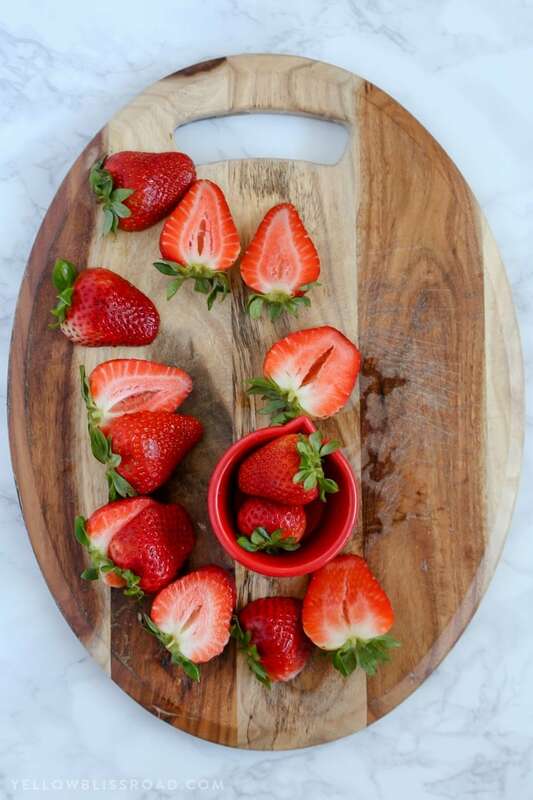 Pour the strawberry purée mixture over the hot cake, spreading gently to cover the entire surface evenly. 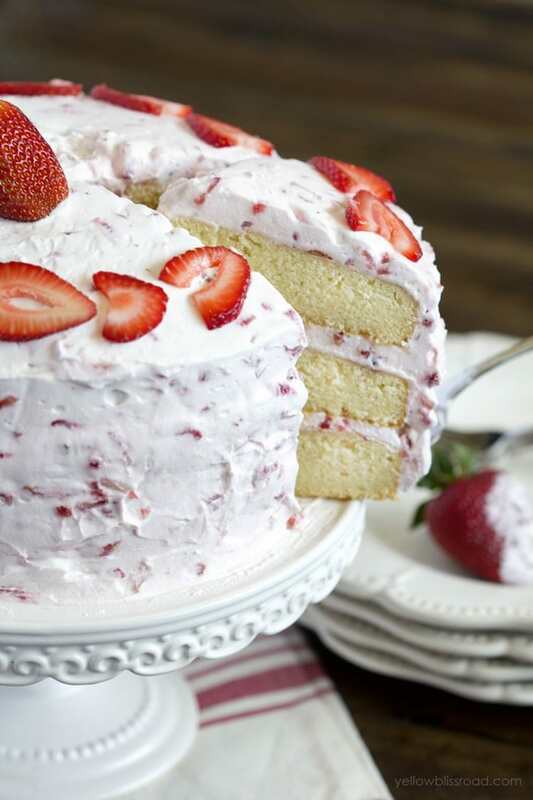 Frost with the Strawberry Cream Cheese Frosting (recipe below) and top with sliced strawberries. In a large, cold metal bowl, using an electric mixer, beat cream cheese and butter until smooth and creamy. Beat in powdered sugar until fluffy and smooth. Stir in the pureed strawberry mixture until combined. Chill until ready to use. For all cakes go HERE, for all desserts go HERE and for all recipes go HERE.